Students discover how scientists find planets and other astronomical bodies. They compare zones of habitability around different star types, discovering the zone of liquid water possibility around each star type and they explore how scientists use spectroscopy to learn about atmospheres on distant planets. Students will explain how scientists find distant planets and moons and how they determine whether those astronomical bodies could be habitable. Customize your view of this lesson. Use the checkboxes below to filter activities in or out. Students are introduced to the unanswered question of whether there is life in space. They learn how scientists are looking for planets outside of our solar system and are evaluating the possibility of finding a habitable planet within their lifetimes. The Vastness of Space activity is part of a sequence of activities in the Is There Life in Space? lesson. The activities work best if used in sequence. This activity may be used individually or in groups of two or three students. It may also be modified for a whole-class format. If using as a whole-class activity, use an LCD projector or interactive whiteboard to project the activity. Turn embedded questions into class discussions. Uncertainty items allow for classroom debates over the evidence. You can save student data for grading online by registering your class for free at the High-Adventure Science portal page. 1. Activate students' prior knowledge about our solar system. Tell students that scientists are looking for planets and moons that might have characteristics necessary for supporting life. Explain that scientists have already found thousands of planets outside our solar system. Let students know that they will be learning how scientists search for planets and how they determine whether the planets they find have the potential to support life. 2. Discuss the role of uncertainty in the scientific process. Introduce students to the concept of uncertainty in the scientific process. Explain that science is a process of learning how the world works and that scientists do not know the “right” answers when they start to investigate a question. Tell students that they can see examples of scientists' uncertainty in determining whether or not the data collected from telescopes show the presence of planets. Let students know that they will be asked questions about the certainty of their predictions and that they should think about what scientific and model-based data are available as they assess their certainty with their answers. Encourage students to discuss the scientific evidence with each other to better assess their level of certainty with their predictions. 3. Have students launch the interactive The Vastness of Space. Provide students with the link to the interactive The Vastness of Space. Divide students into groups of two or three, with two being the ideal grouping to allow students to share computer workstations. Tell students they will be working through a series of pages of data with questions related to the data. Ask students to work through the activity in their groups, discussing and responding to questions as they go. NOTE: You can access the Answer Key for students' questions—and save students' data for online grading—through a free registration on the High-Adventure Science portal page. Tell students this is Activity 2 in the Is There Life in Space? lesson. Why do scientists use stars to find planets? What factors are necessary for life? Why is it difficult to figure out if there is life on other planets? Why are some scientists confident that they will find life on another planet? 2. Use the answer key to check students' answers on embedded assessments. Students investigate how scientists use Newton's Third Law of Motion to infer the presence of a planet orbiting a star. They explore the Doppler effect, the influence various factors have on the ability to detect an orbiting planet, and the effect of telescope noise and data imprecision on scientists' ability to find planets around stars. The activity is part of a sequence of activities in the Is There Life In Space? lesson. The activities work best if used in sequence. 1. Activate students' prior knowledge about Newton's Third Law of Motion. Explain to students that scientists use this concept to find planets orbiting around stars. Tell students that the gravitational pull of planets can move their stars as they orbit. 3. Introduce and discuss the use of computational models. Explain the concept of computational models, and give students an example of a computational model that they may have seen, such as forecasting the weather. Project the NOAA Weather Forecast Model, which provides a good example of a computational model. 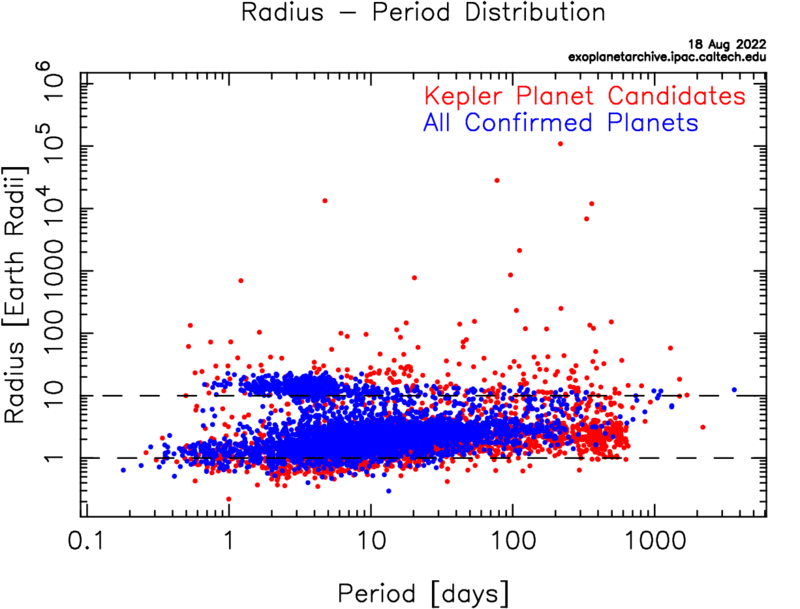 Tell students that scientists use planetary models to predict the motion and apparent brightness of stars if planets are present and to predict the habitability of planets. Explain that there are many different types of models and that they will be using simple models of planetary motion in this activity. 4. Have students launch the Moving Stars and Their Planets interactive. Provide students with the link to the Moving Stars and Their Planets interactive. Divide students into groups of two or three, with two being the ideal grouping to allow students to share computer workstations. Tell students they will be working through a series of pages of data with questions related to the data. Ask students to work through the activity in their groups, discussing and responding to questions as they go. Tell students this is Activity 3 in the Is There Life in Space? lesson. How are planets found via the wobble method? How does a planet's mass affect its star's wobble? How does the angle of orbit affect whether a planet will be detected? Students discover how scientists use the transit method to detect planets. Using interactive models, they investigate how a star’s light intensity changes based on the effects of planet size and angle of orbit. Next, they explore the effect of data noise on detection. Finally, students challenge each other to find planets based only on data from velocity and light intensity graphs. To save your students' data for grading online, register your class for free at the High-Adventure Science portal page. 1. Engage students in a discussion about eclipses. Tell students that scientists use planetary eclipses to find planets around stars. As the planets move around their stars, they can block some of the light from that star, just as our Moon can block light coming from our Sun during a solar eclipse. 3. Introduce and discuss the use of computational models. Explain the concept of computational models, and give students an example of a computational model that they may have seen, such as forecasting the weather. Project the NOAA Weather Forecast Model, which provides a good example of a computational model. Tell students that scientists use planetary models to predict the motion and apparent brightness of stars if planets are present and to predict the habitability of planets. Explain that there are many different types of models and that they will be using simple models of planetary motion in this activity. 4. Have students launch the Hunting for Planets interactive. Provide students with the link to the Hunting for Planets interactive. Divide students into groups of two or three, with two being the ideal grouping to allow students to share computer work stations. Tell students they will be working through a series of pages of data with questions related to the data. Ask students to work through the activity in their groups, discussing and responding to questions as they go. Tell students this is Activity 4 in the Is There Life in Space? lesson. How are planets found via the transit method? Why can't scientists use the transit method to find planets orbiting at a 45-degree angle? If there is no dip in a star's light intensity, does that mean that there is not a planet orbiting that star? How does a planet's diameter affect scientists' ability to detect it via the transit method? How does a planet's size affect whether it can be discovered via the transit method? How does the angle of orbit affect whether a planet will be detected via the transit method? Students use an interactive model to explore the zone of liquid water possibility around different star types and determine the characteristics of stars and planets that are most favorable for habitability. 1. Engage students in a discussion about conditions that are necessary for life. Tell students that scientists look for certain characteristics of planets to assess their potential habitability. 4. Have students launch the Habitable Conditions interactive. Provide students with the link to the Habitable Conditions interactive. Divide students into groups of two or three, with two being the ideal grouping to allow students to share computer workstations. Tell students they will be working through a series of pages of data with questions related to the data. Ask students to work through the activity in their groups, discussing and responding to questions as they go. Tell students this is Activity 5 in the Is There Life in Space? lesson. Show the model on page 4 of the activity. Why is the habitable zone around an F-class star different than the habitable zone around an M-class star? What type of planet is most suitable for life: a rocky planet, or a gaseous planet? Which type of planet and solar system would you want to explore further for life? Students explore how scientists determine the atmospheric composition of distant planets. They use a model to explore how elements in a gaseous mixture can be identified through absorption spectroscopy. Finally, students explore what compounds are most likely to reflect the presence of, or favorability to, life on other planets. 1. Activate students' prior knowledge about atmospheres. Let students know that scientists use light from planets' stars to analyze the atmospheres of the planets. 4. Have students launch the Looking for Signs of Life interactive. Provide students with the link to the Looking for Signs of Life interactive. Divide students into groups of two or three, with two being the ideal grouping to allow students to share computer workstations. Tell students they will be working through a series of pages of data with questions related to the data. Ask students to work through the activity in their groups, discussing and responding to questions as they go. Tell students this is Activity 6 in the Is There Life in Space? lesson. How can scientists tell what elements are in a mixture of gases? (Scientists use spectroscopy to detect which elements are in a mixture of gases. Each element absorbs light in a unique pattern. By analyzing the light going into the atmosphere and the light coming out of the atmosphere, scientists can determine what elements are in the atmosphere. How can you use light to determine which elements are in a mixture? Would the spectrograph of a planet's atmosphere have more, fewer, or the same number of lines as the spectrograph of the planet's star? Why? Elements absorb and emit radiation at distinct frequencies. The pattern of absorption of radiation can give information about the composition of a mixture. There are different star classes, categorized by the star's temperature. Hotter stars are brighter and shorter-lived than cooler stars. irregularly shaped planetary body, ranging from 6 meters (20 feet) to 933 kilometers (580 miles) in diameter, orbiting the sun between Mars and Jupiter. layers of gases surrounding a planet or other celestial body. type of sugar that is an important nutrient for most organisms. having to do with the sky or heavens. natural object in space, such as a planet or star. Also called an astronomical object. an event where one heavenly body obscures the light of another. continous band of all kinds of radiation (heat and light). planet outside the solar system, orbiting a star other than the sun. Also called an extrasolar planet. collection of stars, planets, gases, and other celestial bodies bound together by gravity. gas in the atmosphere, such as carbon dioxide, methane, water vapor, and ozone, that absorbs solar heat reflected by the surface of the Earth, warming the atmosphere. one of a large group of organic compounds including fats, oils, waxes, sterols, and triglycerides. state of matter with no fixed shape and molecules that remain loosely bound with each other. measure of the amount of matter in a physical object. chemical compound that is the basic ingredient of natural gas. natural satellite of a planet. chemical element with the symbol N, whose gas form is 78% of the Earth's atmosphere. flat space in which a body orbits. chemical substance that contains the element carbon. chemical element with the symbol O, whose gas form is 21% of the Earth's atmosphere. process by which plants turn water, sunlight, and carbon dioxide into water, oxygen, and simple sugars. one of many complex compounds, made of chains of amino acids, that make up the majority of all cellular structures and are necessary for biological processes. machine that transcribes sound waves into visible lines. science of the measurement of light that is reflected, absorbed, or emitted by different materials. scientific instrument that uses mirrors to view distant objects. all known matter, energy, and space. measurement of the rate and direction of change in the position of an object. molecules of liquid water suspended in the air. Habitable Zone - NASA Quest! This set of online curriculum modules utilizes computer models and real world data to bring contemporary unanswered questions in Earth science to middle and high school science classrooms.